Please note that the content of this book primarily consists of articles available from Wikipedia or other free sources online. Eggs are laid by females of many different species, including birds, reptiles, amphibians, and fish. Eggs are thought to have been consumed by humans for millennia. Bird and reptile eggs consist of a protective eggshell, albumen egg white and vitellus egg yolk contained within several different thin membranes. 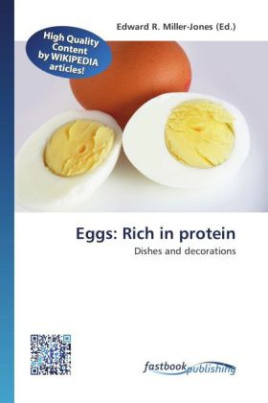 Popular choices for egg consumption are chicken, duck, quail, roe, and caviar, with the chicken egg remaining the most often consumed by a wide margin...Learn more about eggs and some famous egg-based dishes as well as egg decorating with the help of this book.